Bardstown Rd. Turn Right onto Long Home Rd. Turn Left onto Old Bardstown Rd. Turnright onto Bardstown Woods Blvd. Slight Right onto Marceitta Way. Turn Right ontoSlippery Elm Dr. Turn Right onto Hickory Grove Dr. Home on the Right. Welcome to Bardstown Woods. 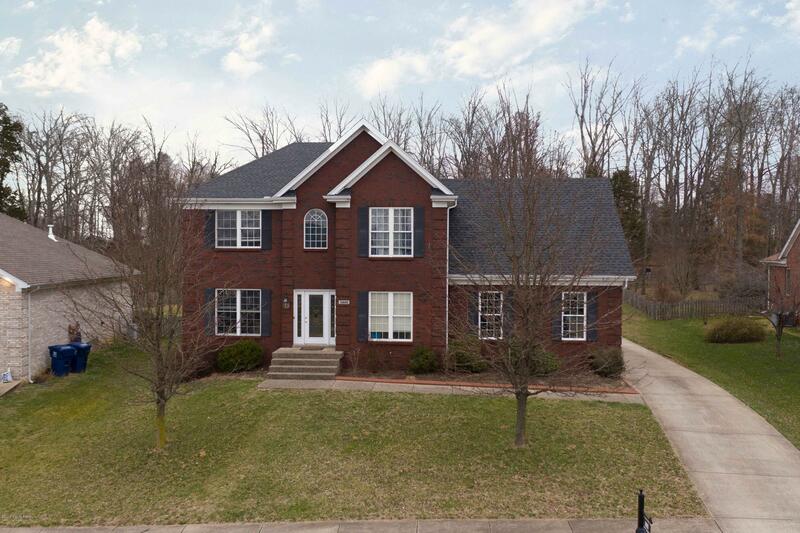 This 4 bedroom, 3-1/2 bath brick home has many great features for you to enjoy. The 2 story foyer is very welcoming as you enter the front door. The bamboo flooring leads you passed the dining area and into a family room with a beautiful fireplace and opens into the eat-in kitchen. Should you come in through the 2 car, rear entry garage, youll pass the mud room that is ready for your storage needs. All of the bedrooms are located on the 2nd floor along with the laundry. The basement has been finished to include a full bathroom. Retreat to the largebackyard that gives you the sense of privacy. You need to see this home!